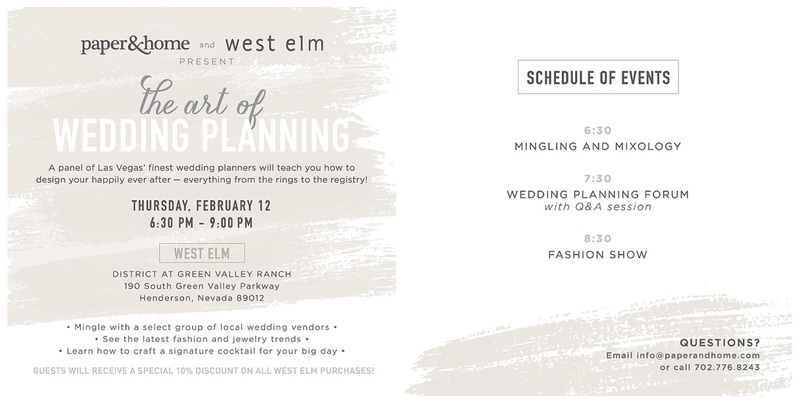 We are thrilled to be participating in the upcoming Art of Wedding Planning event being held at West Elm on Thursday, February 12. Our friends at Paper & Home have invited to us speak on a panel with other local wedding planners about designing and planning fantastic weddings. Let’s be honest…wedding planning and home decor? It’s a dream come true for us! The event will begin with an hour of meeting Las Vegas’ best wedding vendors and learning a few mixology tips from West Elm. Next, the panel of Las Vegas wedding planners will present a series of information on designing your wedding. We are privileged to be part of the panel and can’t wait to share some ‘tricks of the trade’ with you! The panel will include time for Q&A so come prepared with questions. If we don’t get the chance to answer your question during the panel, there is time to meet up with us afterward and chat more about your wedding. The end of the evening will feature a fashion show and showcase jewelry trends. We look forward to seeing you there! Hello Schemers! 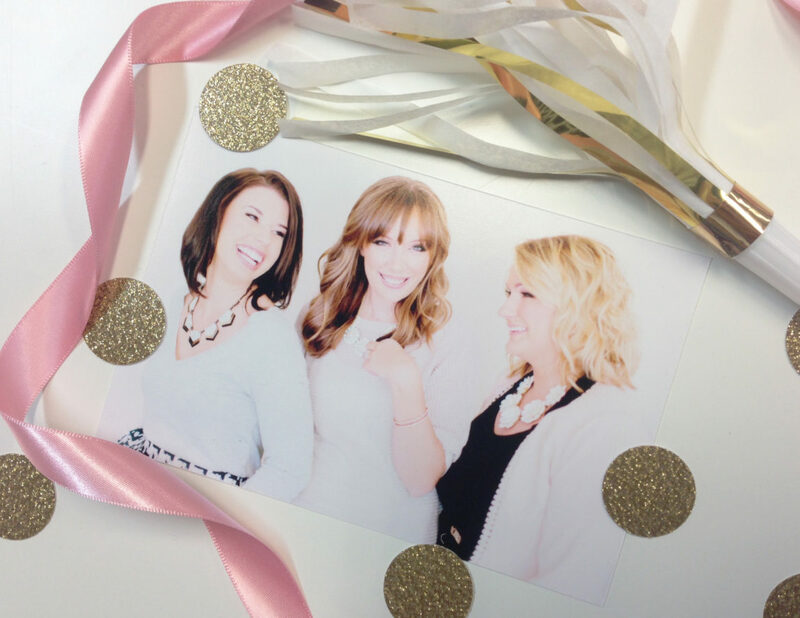 There’s about to be a whole lot of fun in the office with Traci, Rissa & Tara’s birthdays coming up within the next month. To celebrate another trip around the sun we thought it’d be fun to host a giveaway — a present filled with a little something that each girl loves and can’t live without! Want to join the party? Here’s how to get your name on the list! Check our Instagram & Facebook next Friday, February 6th to find out if you’re the winner! Happy Thursday. Let me reintroduce you to the genuine and oh so clever Martha and Ian. 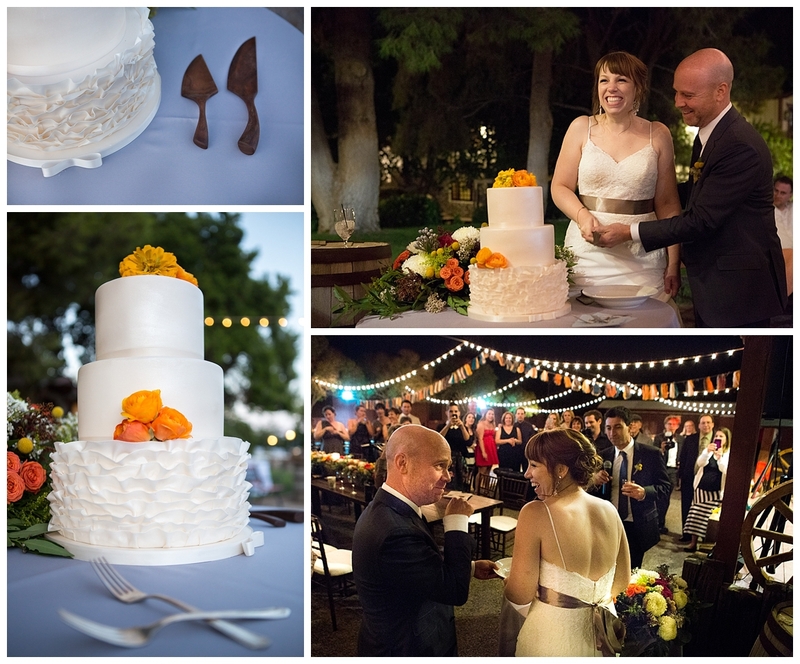 They tied the knot this past fall at Legends Ranch with their closest friends and family. With Martha’s good looks and Ian’s greeting card writer skills, you’re sure to fall in love with them as we quickly did. Please enjoy their wedding through the lens of Emily Wilson. 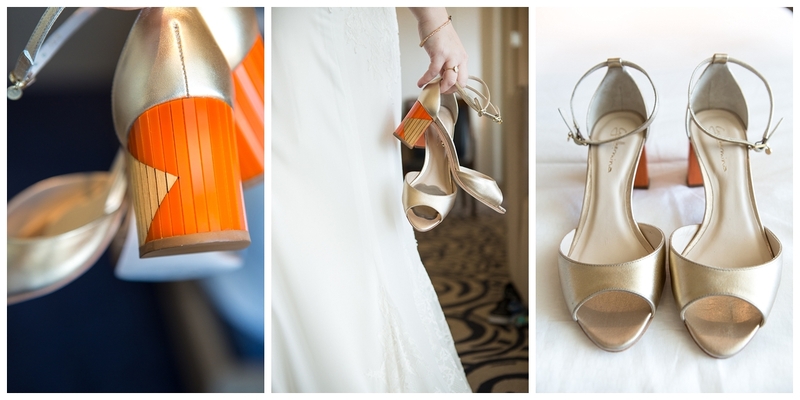 Martha and Ian’s wedding was full of color and character. 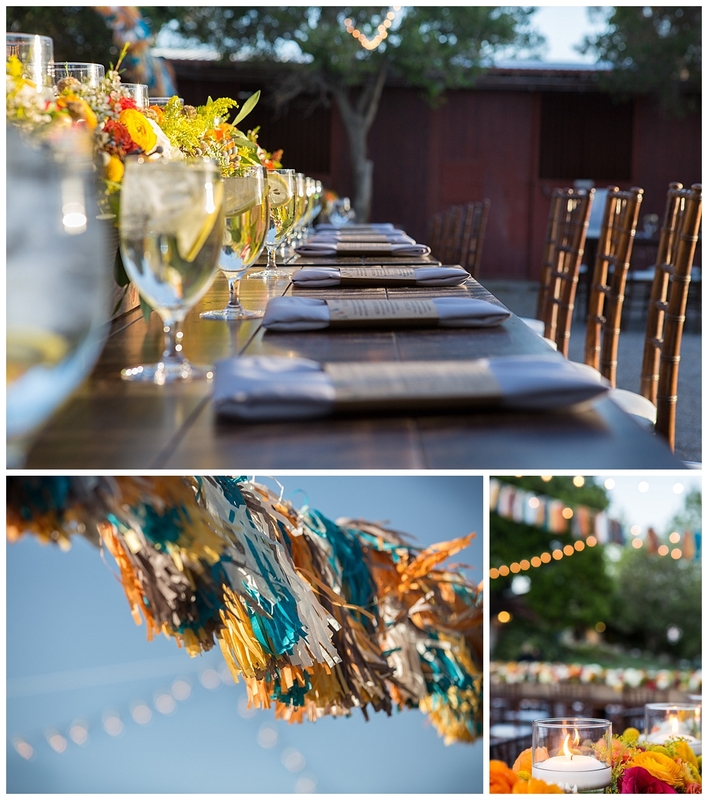 Their orange and teal palette was perfect for the fall weather, the alternating tassel garlands and bistro lights provided a great ambiance and the stationery verbiage set the tone for the entire night. If you didn’t read the menu, scroll back. Their ceremony was complete with amazing vows, a wooden arbor draped in gorgeous florals provided by Layers of Lovely and the cutest ring bearer we have ever seen. 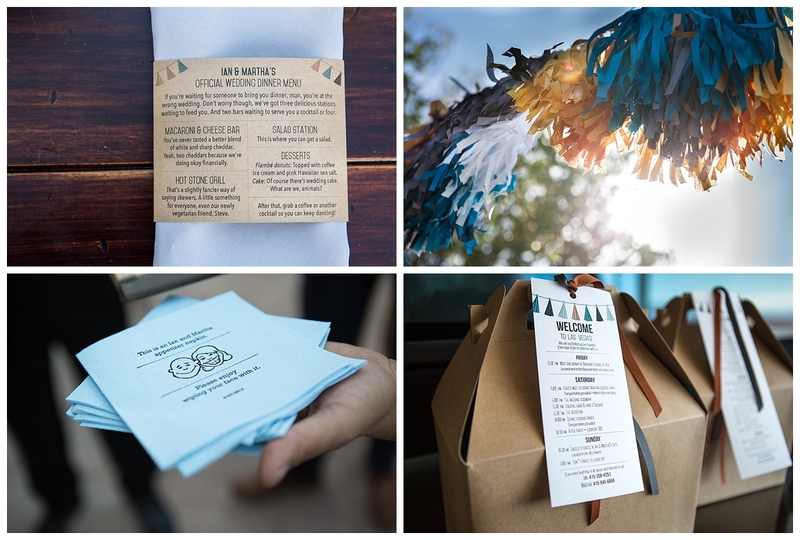 Following a delicious cocktail hour, caterer by Masterpiece Cuisine, guests found their table by finding their name on a mini garland tassel. 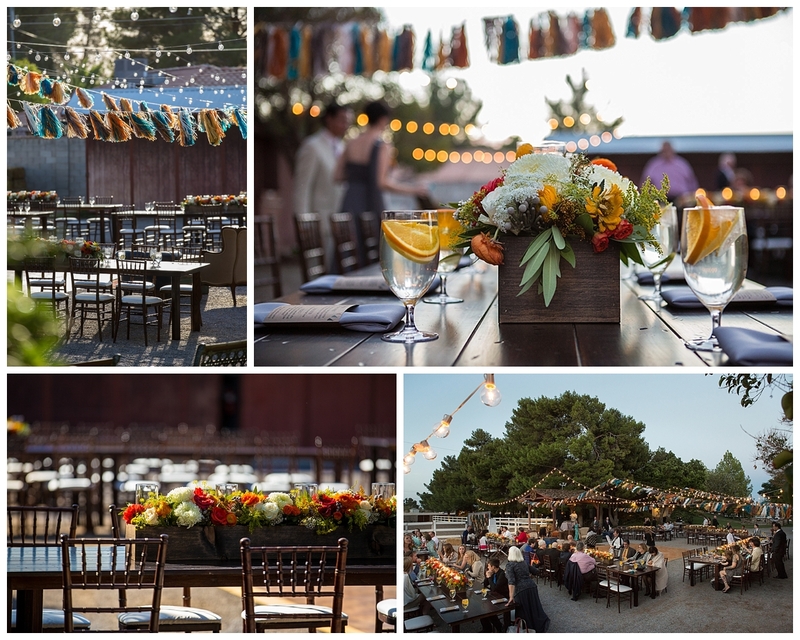 Long napa tables surrounded the dance floor and were topped with 10ft wooden boxes filled with lush floral and candles. A salad, mac and cheese and skewer station were available to guests as well as an amazing signature cocktail bar. The donut flambé station really put the catering over the top! As the sun set and the bistro lights shined, guests danced the night away under the stars. Toasts were hilarious, photo booth was rocking and the dance floor was hot. Overall, it was a perfect night. Congratulations again Martha and Ian! I never laughed so hard throughout the planning process and I am so glad to have you be a part of the Scheme family. I send my love!